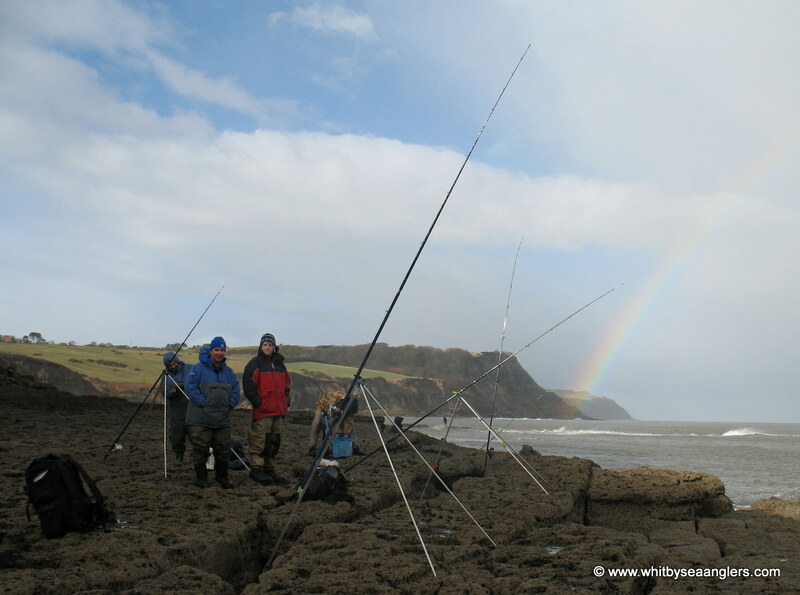 George Dunn addresses the 85 anglers taking part in the Bell Trophy Inter Club Tournament, Sunday 27th January 2013. 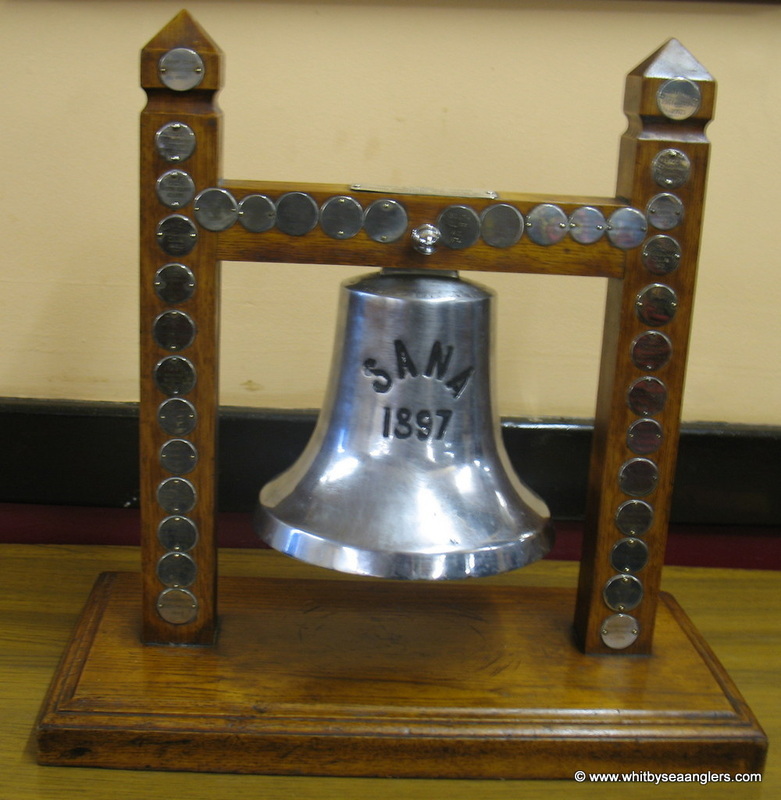 The Bell sits proudly on the 'Danger Board'. 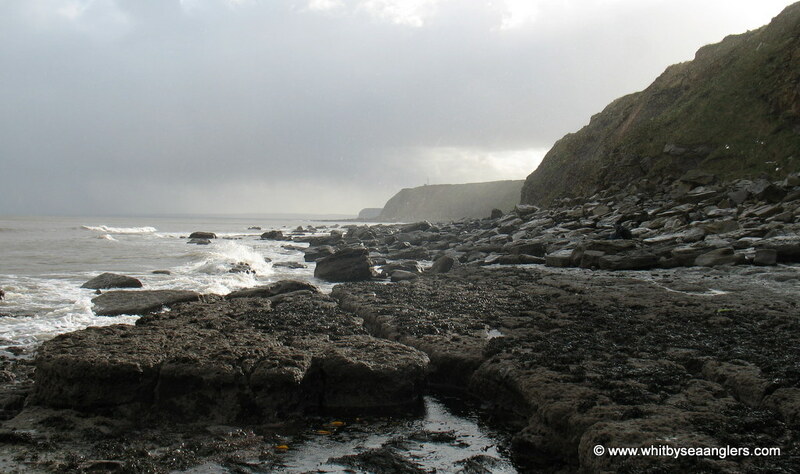 Note the sea conditions! Photograph by Peter Horbury. 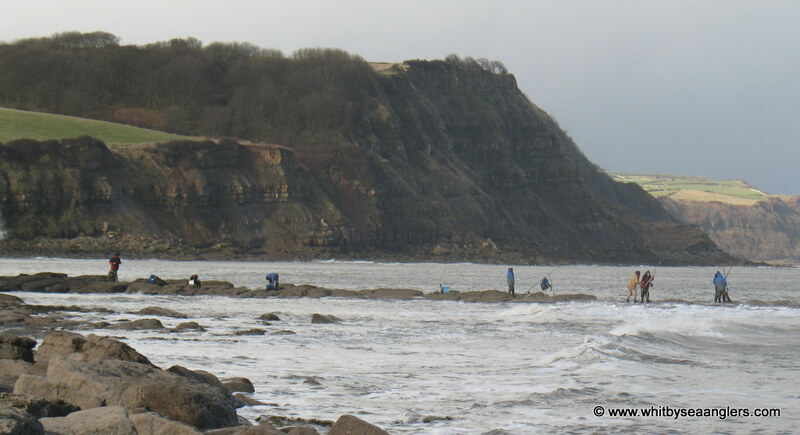 The 'get down' as anglers make their way to their chosen mark. 27th January 2013 Photograph by peter Horbury. Nearly there and well wrapped up as the wind is bitter. 27th January 2013 Photograph by Peter Horbury. 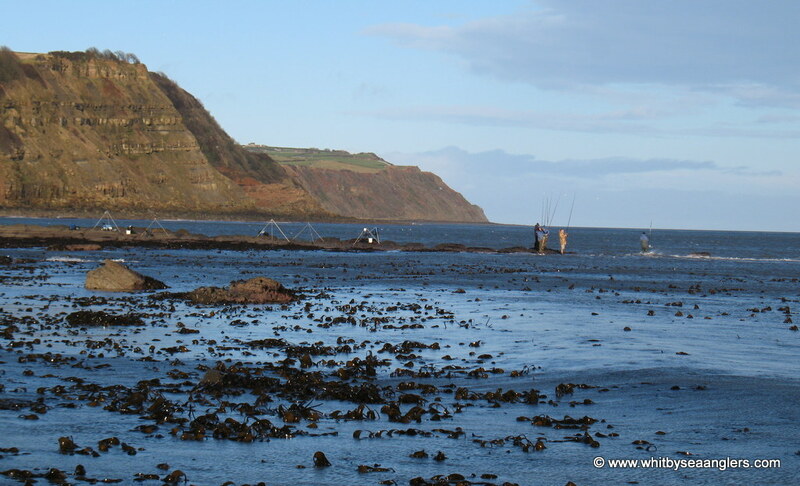 Whitby Sea Angler Association members tackle up. 27/01/2013 Photograph by Peter Horbury. 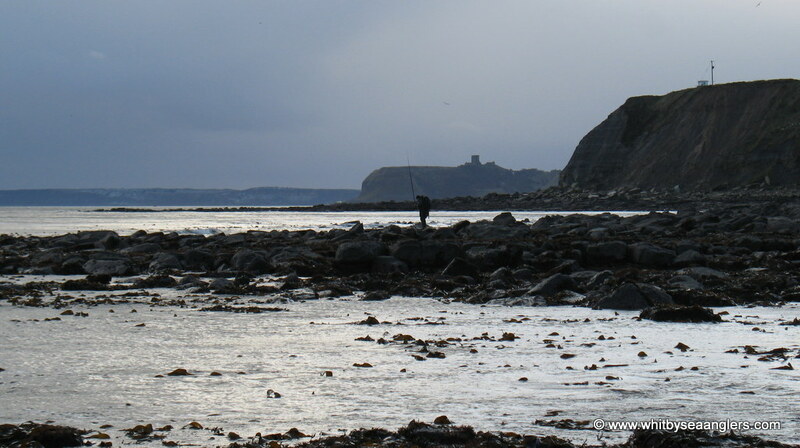 Another angler makes his way over the rocks with Scarborough Castle in the background. 27th January 2013 Photograph by Peter Horbury. 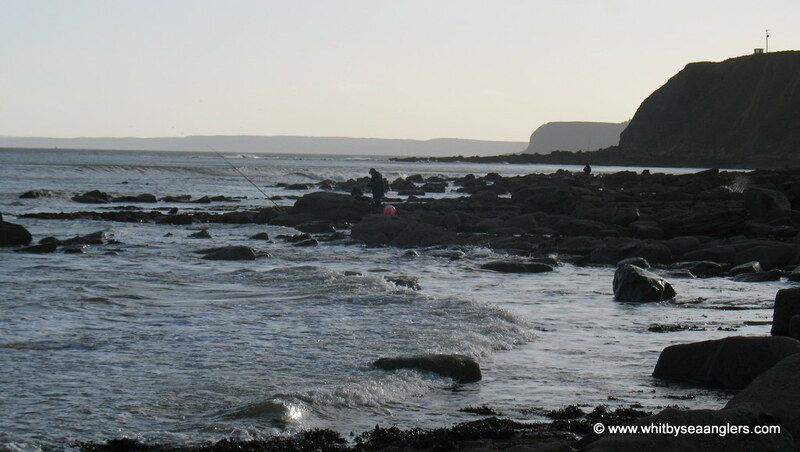 Fishing commences and the sun finally comes out, but the south westerly wind is uncomfortable. 27th January 2013 Photograph by Peter Horbury. 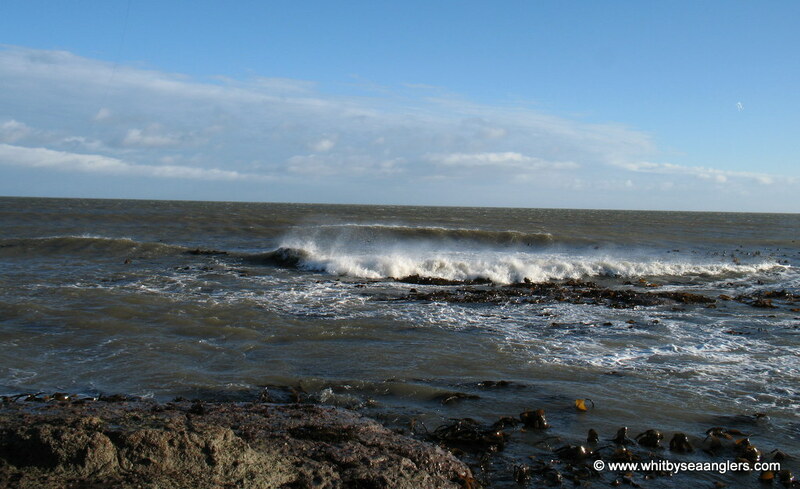 The south westerly is picking up and whipping up the sea spray. 27th January 2013 Photograph by Peter Horbury. 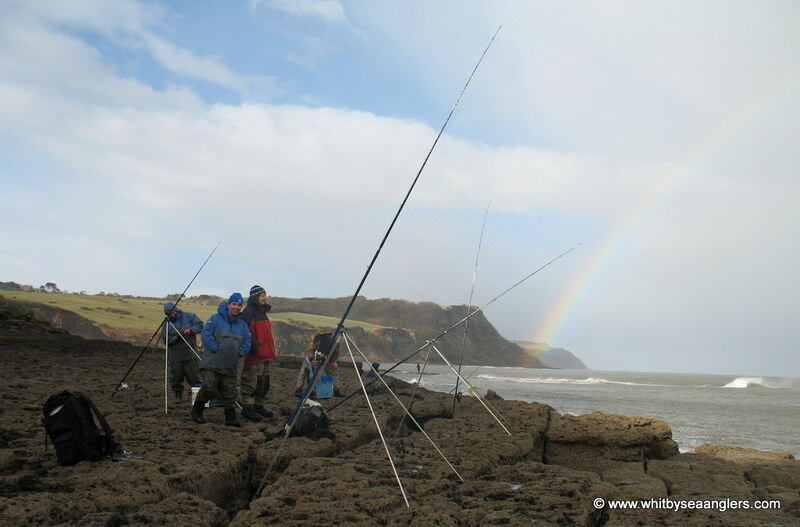 Could there be a pot of gold at the end of the rainbow for members of Whitby Sea Anglers Association? 27th January 2013 Photograph by Peter Horbury. 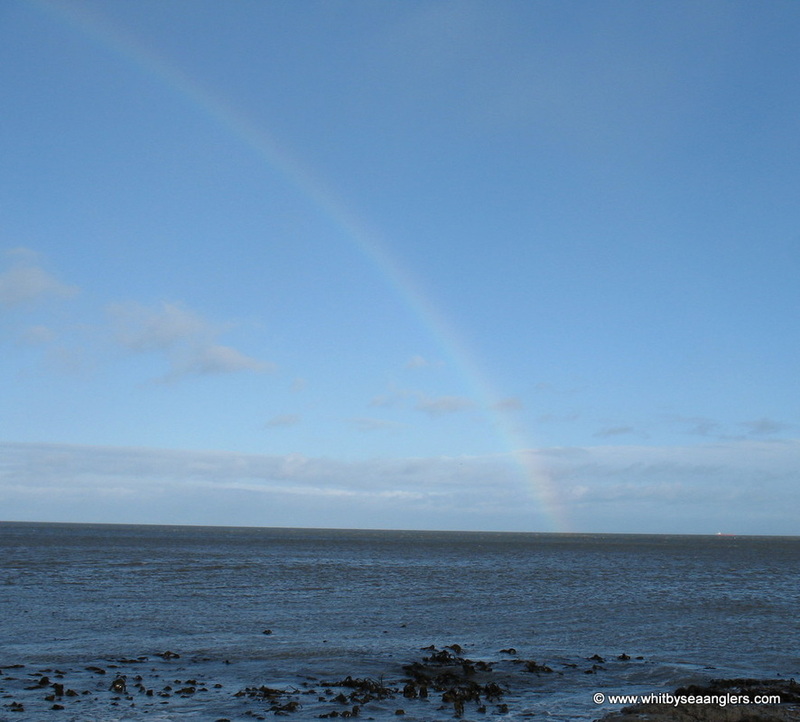 It's behind you, the rainbow! 27th January 2013 Photograph by Peter Horbury. The sun came out again after the rain storm. 27th January 2013 Photograph by peter Horbury. 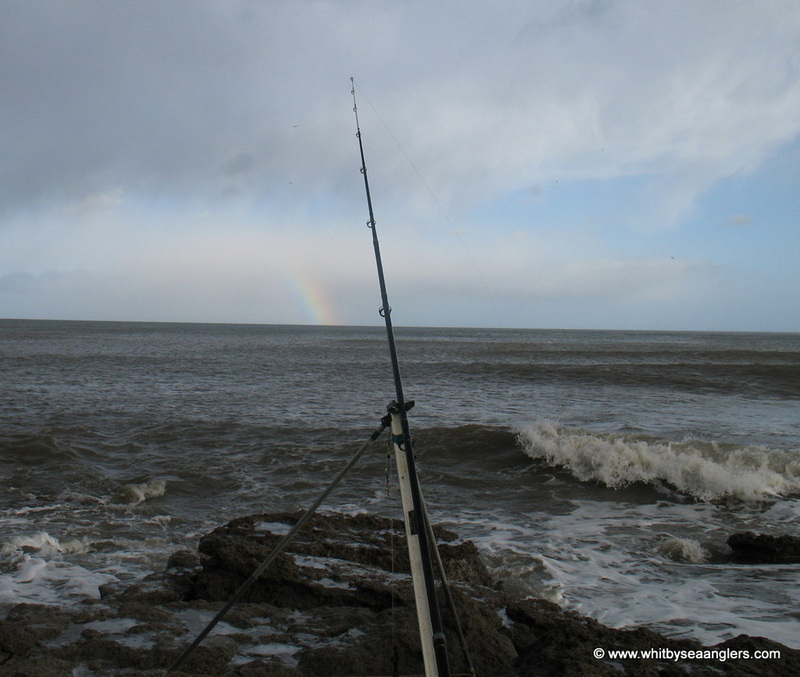 The swell was picking up and forcing anglers back up the scaur as another rain storm approaches. 27th January 2013 Photograph by Peter Horbury. 27th January 2013 Photograph by Peter Horbury. 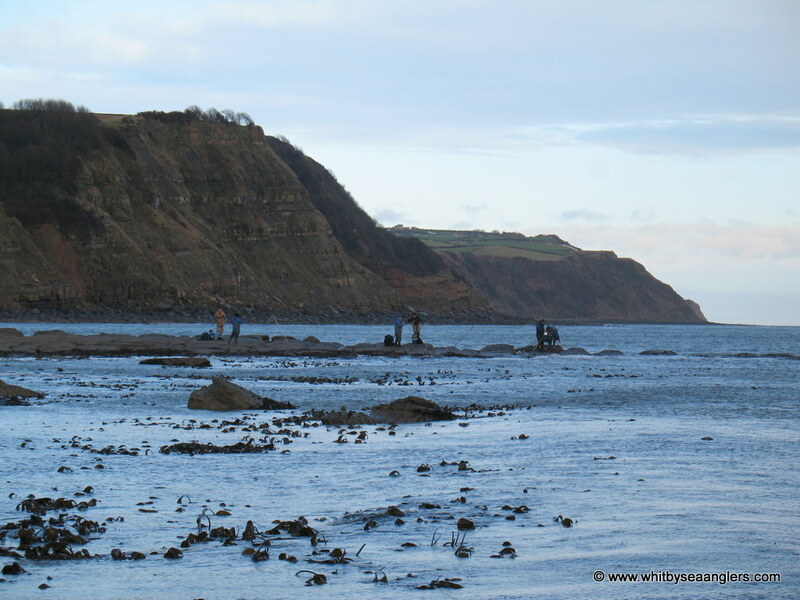 Scarborough Castle no longer in view as we are all pushed back. 27th January 2013 Photograph by Peter Horbury. 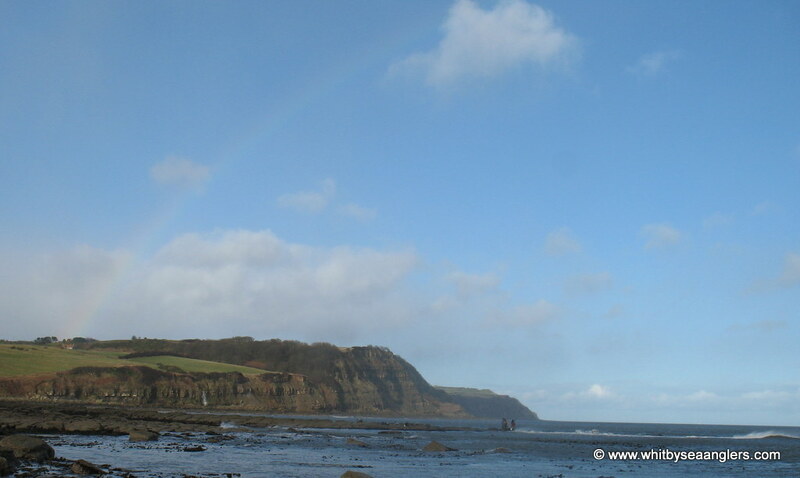 Another rain shower and another rainbow. 27th January 2013 Photograph by Peter Horbury. 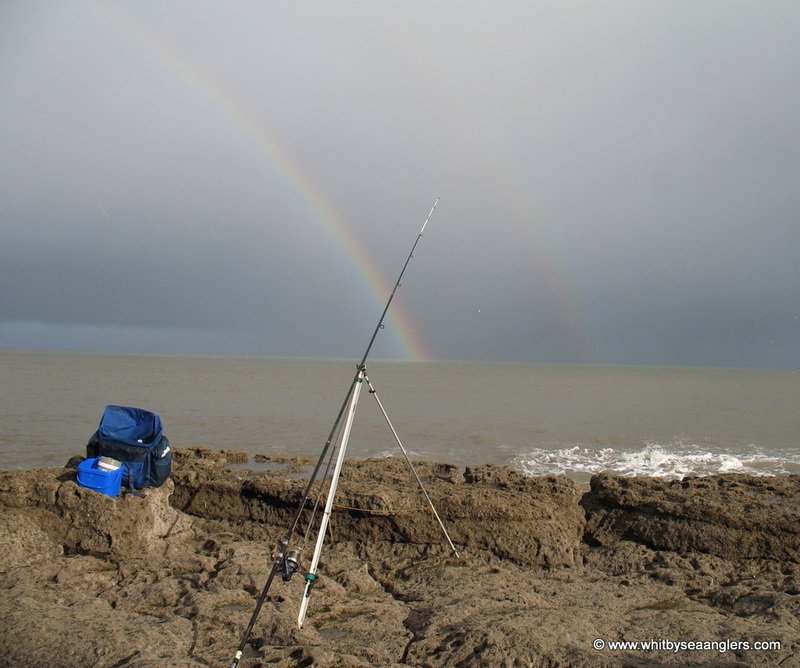 A double rainbow, there's more entertainment in the scenery than the fishing!! 27th January 2013 Photograph by peter Horbury. Yet more rain as the strengthening wind makes standing upright difficult. 27th January 2013 Photograph b y Peter Horbury. Rainbow after the shower. Matthew Garbutt, Neil Inglis, Ben Laws and James Moore join me on the front scaur. 27th January 2013 Photograph by Peter Horbury. Rainbow after the shower. 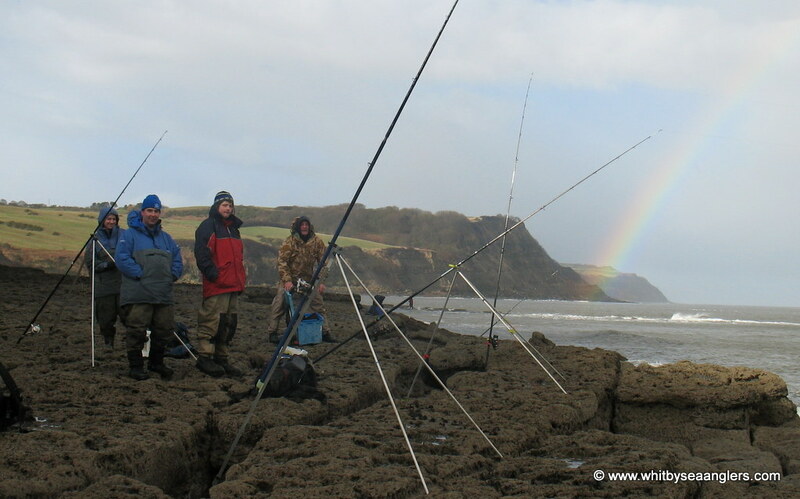 Matthew Garbutt, Neil Inglis, Ben Laws and finally James Moore looks up, taking a break from his lunch box! 27th January 2013 Photograph by Peter Horbury. 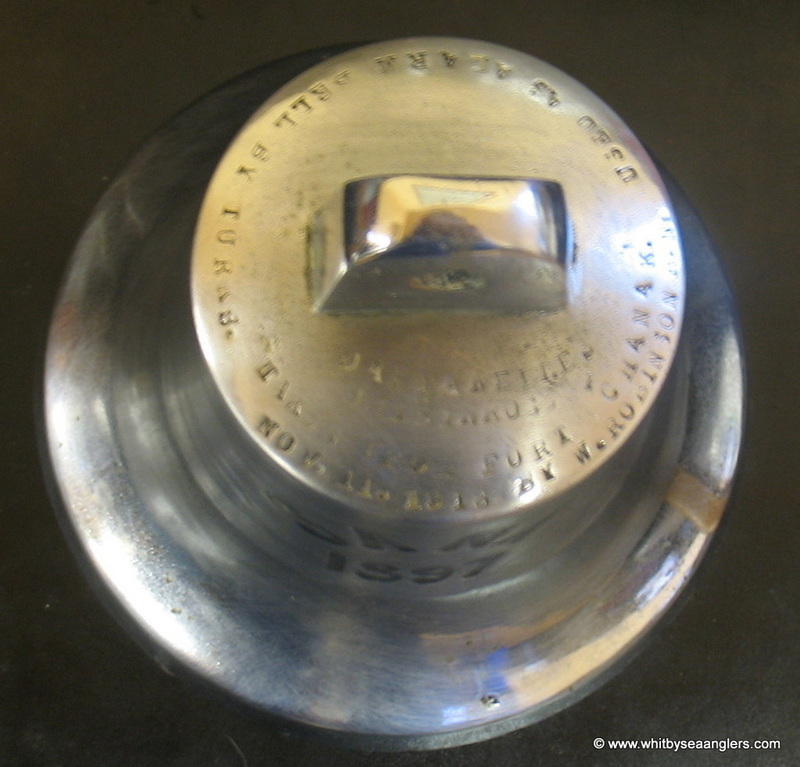 The top of the Bell is marked with it's history. 27th January 2013 Photograph by Peter Horbury. 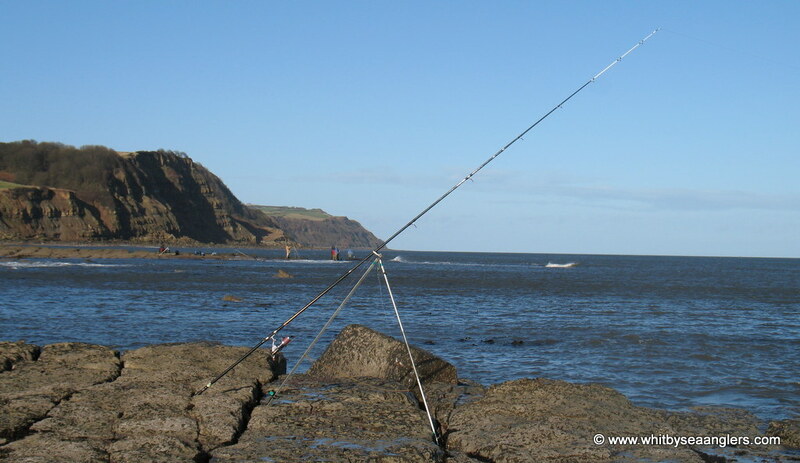 And this is the Bell Trophy, Whitby Sea Angler Association have won this four times. 27th January 2013 Photograph by Peter Horbury.